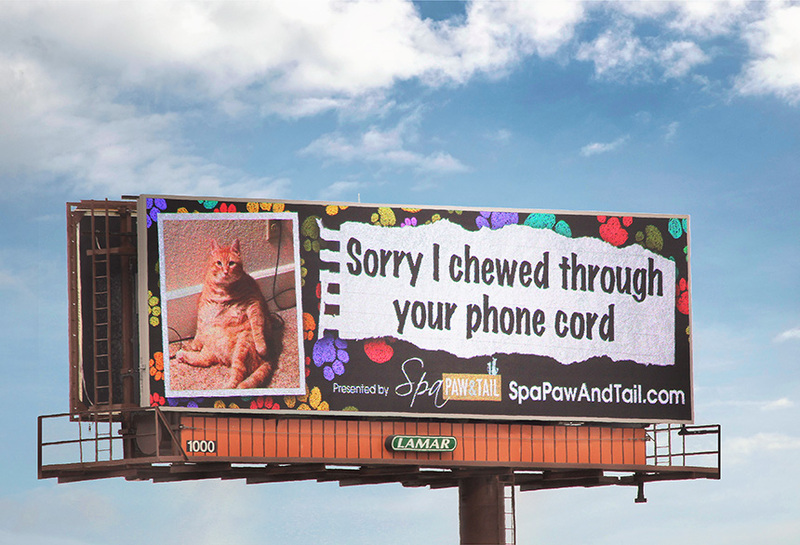 Spa Paw and Tail ran a digital campaign that utilized Lamar's digital capabilities. The campaign allowed consumers to submit user-generated content through Facebook, then streamed that content directly to the digital boards. This campaign was both interactive and eye-catching, as many of the submissions were extremely funny!